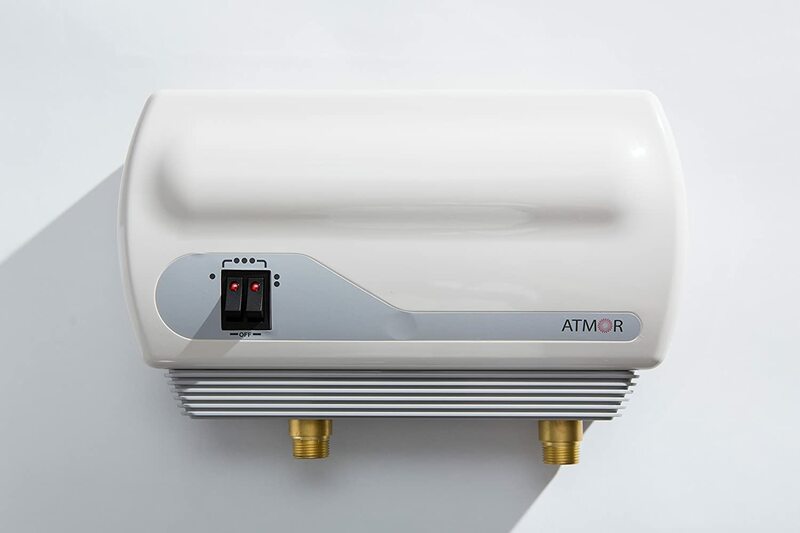 Atmor Tankless Electric Instant Water Heater In most US homes, the heating of water is usually the second largest energy expense, after space heating and cooling. Typical storage tank water heating can account for up to 30% of the average home energy bill. Inconvenient situations such as waiting for the hot water to reach the faucet, finding yourself with no more hot water while having to wait for the tank heat up again, or constantly heating a storage tank of water even when it is not in use all add up to this expense. What if there was an all-around solution that saves you money, time, energy, and resources? The Atmor Tankless Electric Instant Water Heater is the eco-friendly, efficient and convenient solution you have been looking for - delivering to you an endless supply of hot water instantaneously at the point of use only when you need it. It is suitable for residential and commercial applications, and even in your RV. Rest your mind at ease and enjoy the continuous flow of hot water whenever you want. This compact device can be installed against the wall either under the sink out of sight or near the point of use; where its elegant design blends well into your home environment among other appliances.